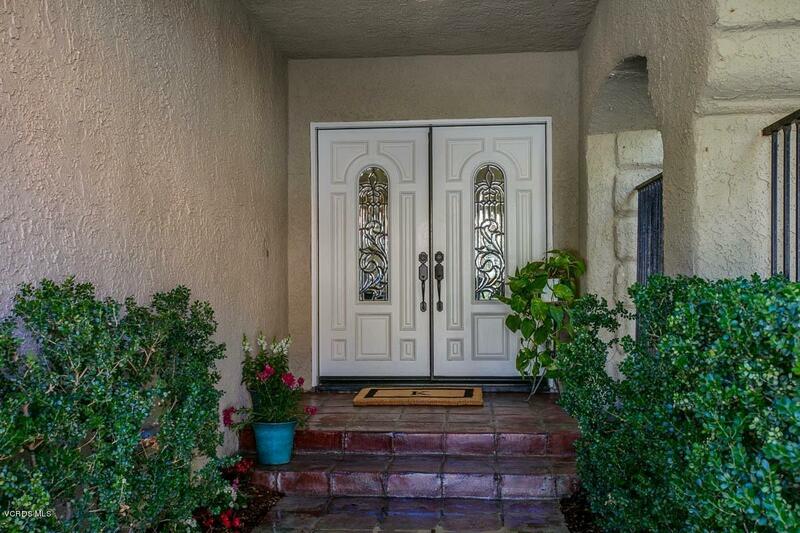 Stunning Remodeled Peacock Ridge Estate home with gorgeous mountain & sunset views, featuring Spanish paver walkways that lead you to the covered entry & through the double beveled glass doors! 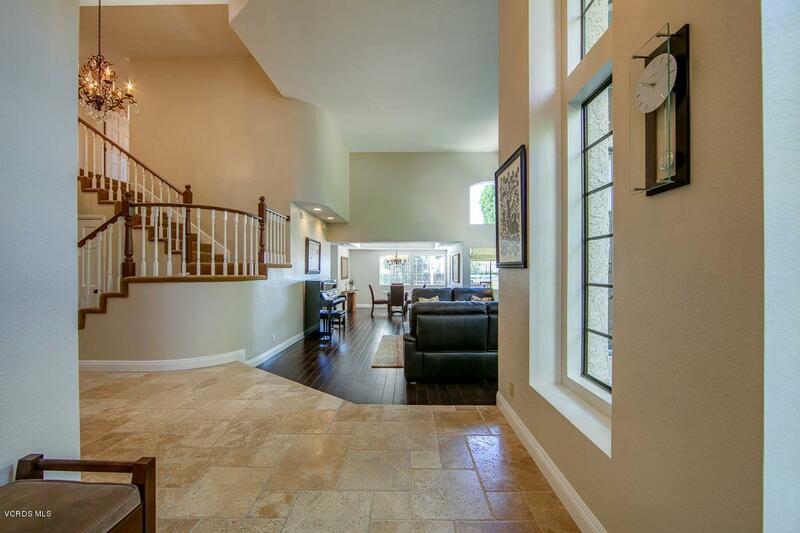 High ceilings greet you as you enter into the grand foyer w/travertine floor entry & wood floors throughout the 1st floor. This highly upgraded home features 5 bedrms & 4 bathrooms (1 bedrm & bath are downstairs which is perfect for out of town guests!) 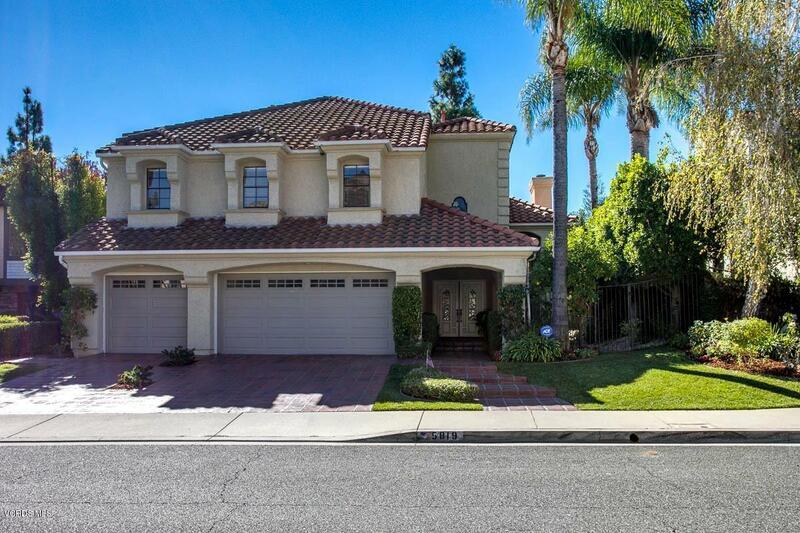 Over 3600 sq ft, the upstairs features 2 large master suites w/sitting area & each w/private remodeled baths, 2 additional bedrooms & hall remodeled bath, indoor laundry, lots of windows to bring in all the natural lighting, formal living rm w/fireplace & formal dining area, open gourmet kitchen w/Ceasarstone counters, mosaic backsplash, Island & breakfast bar w/stainless steel appliances, newer cabinets w/pull out drawers & breakfast eating area that overlooks the family room with wood beamed ceiling, recessed lighting, plantation shutters & fireplace that opens to the gorgeous backyard w/covered patio, built in bbq, cozy sitting area w/fire pit overlooking the in-ground pool & spa w/mountain views makes this home perfect for entertaining plus a 3 car garage! Close to golfing, fine dining, Top rated schools & more! Sold by Neta Dadon BRE#01091321 of Elite Residential Realty. 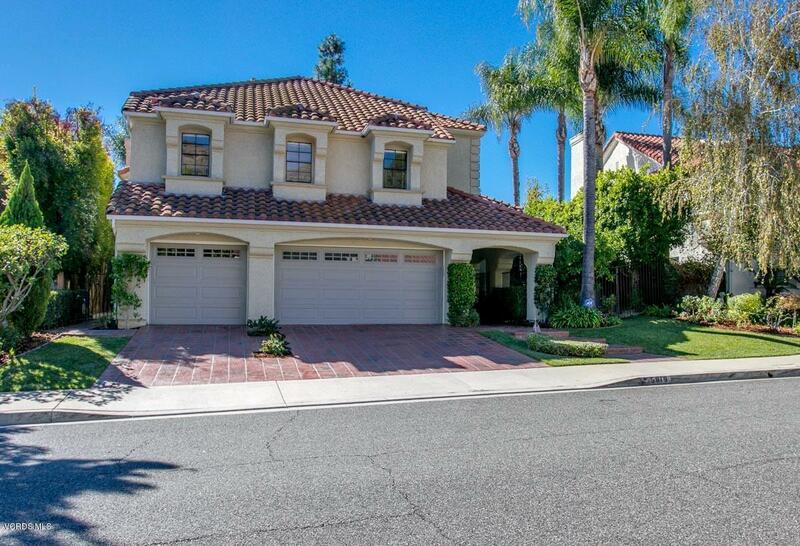 Listing provided courtesy of Tricia Onsgard DRE#01091321 of Coldwell Banker Residential Brokerage.